You may notice things look a little different around here… We launched our new web site, and were in the process of moving all the old content over to this new format. Please bear with us during this process, and don’t be afraid to let us know if you come across any broken links. Thanks for supporting O Scale Trains Magazine! 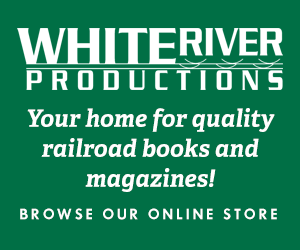 White River Productions is pleased to announce it has acquired O Scale Trains Magazine from publisher Jaini Giannovario, effective immediately. Martin Brechbiel will remain the editor of OST, along with his crew of regular columnists. O Scale Trains Magazine Online, ©2018-2019 White River Productions. All rights reserved. O Scale Trains Magazine focuses on modeling, model building craftsman skills, and the art of 1:48 modeling.